Sudbury Ringette has a new apparel provider, Klazine. 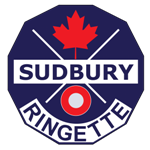 Please check the customized page for Sudbury Ringette on their website for available products. The Sudbury Ringette Association is very fortunate to be supported by many great businesses and community organizations in the area. Sponsorships go towards ice times, jerseys, tournament fees, and many other things that help create so many memories for all of our players.